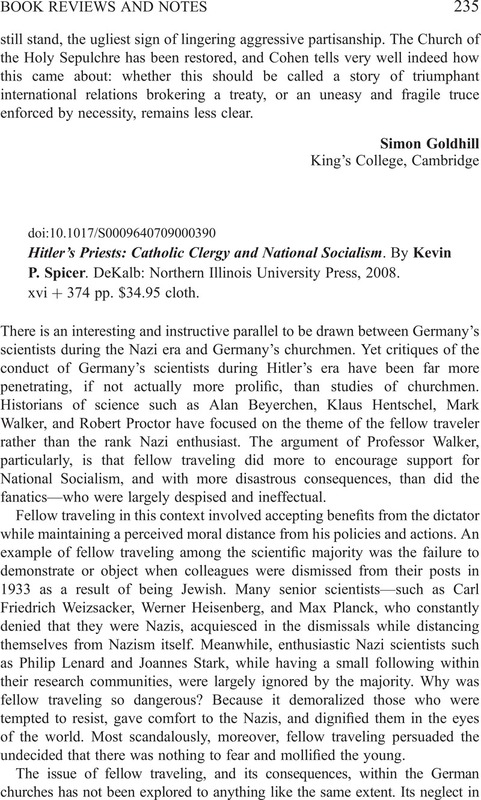 Hitler's Priests: Catholic Clergy and National Socialism. By Kevin P. Spicer. DeKalb: Northern Illinois University Press, 2008. xvi + 374 pp. $34.95 cloth.